Today has been an unusual day. Sleet has been falling from gray, overcast skies. There is a sheen of ice visible on walkways and roads. Droplets of water are frozen on my clothesline. Through all of this winter mess, an occasional soft roll of thunder can be heard overhead. I turned my television on this morning to check the weather report, and after a brief presentation of the weather, all I heard was “Crimea this” and “Crimea” that. I always thought Crimea was a place in history books where Florence Nightingale actually practiced nursing for a few years. Now it is a word that is a bit too real in the present moment. With the word “Crimea” other words are being spoken: words like “war” and “aggression.” I pray daily for peace, but I think a collective effort would be more productive. Perhaps our world needs to step back and take a deep breath and re-direct its energies to peace for all. Naturally, my thoughts turn to what I can do to promote peace. I can continue to focus on developing a strong spiritual “inner core”—–and I can share that with others with whom I come in contact. I need to share God’s love so my actions radiate peace and concern rather than anxiety and resentment so I can cultivate calmness and peace rather than discord and stress in my interactions with others. Watching the news this morning was not quite as bad as watching the Bay of Pigs crisis unfold on our family’s old black and white television. It was, however, reminiscent of that scary point in time. I’m not ready to go out and start digging a bomb shelter. I’m not ready to turn into “Henny Penny” and run around proclaiming the “sky is falling.” I am, however ready for peace on earth. I am ready for each one of us to realize that we are all one, and in fighting others who we call “enemy” we are fighting just other versions of ourselves. I am ready for the world to realize God’s mercy, grace, love and compassion extend to everyone—–including our President, those who are killing each other in the Sudan, the man this morning’s newscasters are referring to as the “Russian dictator,” the children next door, the elderly lady two houses up, the homeless man or woman trying to keep warm, or even those who abuse others, be they human or animal. My faith has repeatedly taught me not to judge others. If I am honest about all the wars my country has fought, I cannot afford to be judgmental about another country’s acts of aggression. I should not judge such actions even if I were a citizen of a country that had never been aggressive itself. So, I am back to my question. What can I as an individual do to promote peace. 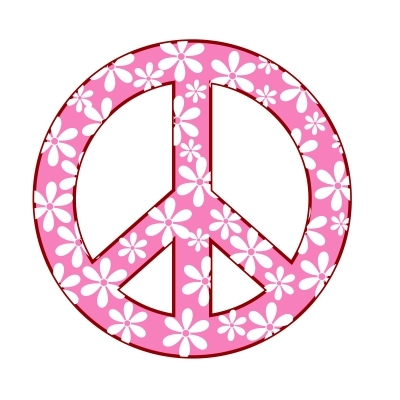 I can pray for peace and love to prevail. I can live peacefully so the “ripple effect” from my little corner of the world will promote peace rather than aggression. The world’s situation is one of those things referred to in the Serenity Prayer that I cannot change, but if I work on changing myself and my actions, the only things I actually can change, maybe that one little change will have a “butterfly” affect on the rest of the world. Maybe not, but at least I can live with myself knowing I have tried. God bless and keep you. Despite the weather, I witnessed a lovely gathering of ~50-100 friends to celebrate the life of Mary D. at 2:00 pm today! To understand how deceit put the survival of mankind at risk, study the last paragraph of F. W. Aston’s 1922 Nobel Prize lecture  and the 1982 book by P. K. Kuroda, The Origin of the Chemical Elements and the Oklo Phenomenon. Oliver, my friend, your comments never cease to amaze me. Thank you for being their for Mary. The link to Aston’s lecture is valid, but frequently fails to work for unknown reasons. “Should the research worker of the future discover some means of releasing this energy in a form which could be employed, the human race will have at its command powers beyond the dreams of scientific fiction; but the remote possibility must always be considered that the energy once liberated will be completely uncontrollable and by its intense violence detonate all neighbouring substances. In this event the whole of the hydrogen on the earth might be transformed at once and the success of the experiment published at large to the universe as a new star.